Rivals Talk Talk and Hyperoptic welcomed the announcement. BT said it was “considering the implications”. Ofcom says full fibre internet is currently available to 3% of UK homes and offices. It hopes to see 6 million buildings connected by 2020. It said BT must make it easier for rivals to install fibre on its telegraph poles and in its underground tunnels. It wants a clearer map of where there is capacity on the telegraph poles and in the tunnels for rivals to do so. 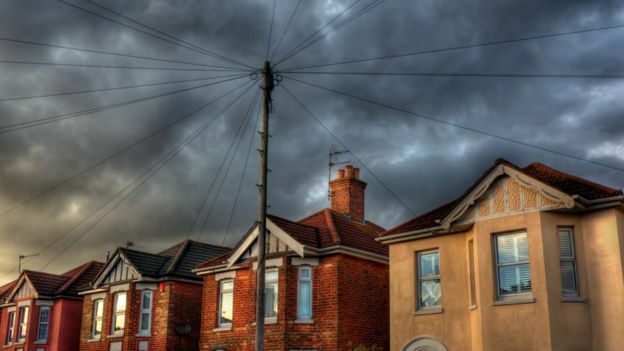 Ofcom suggested streets could be connected to full fibre in “hours” rather than days, as companies would no longer have to dig up roads to lay fibre. It estimated that sharing infrastructure would halve the cost of connecting a home to full fibre – from £500 to £250. Additionally, BT will be banned from reducing its wholesale prices in areas where rival networks are starting to lay infrastructure. Openreach, which maintains most of the UK’s telephone lines, will be ordered to repair faulty infrastructure and clear the way for competitors to access its tunnels. 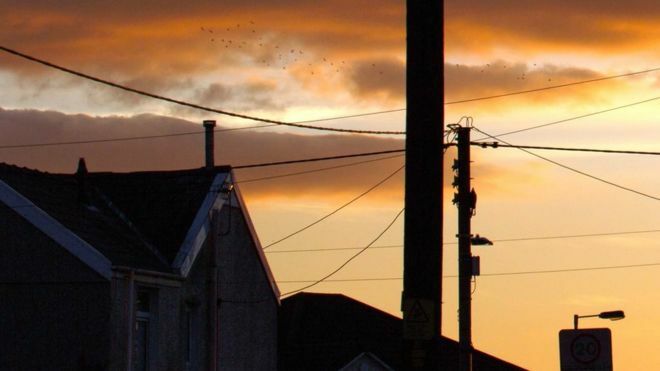 “Openreach must ensure there is space on its telegraph poles for extra fibre cables connecting homes to a competitor’s network,” Ofcom said in a statement. How have BT and Openreach reacted? BT said it had “noted” the publication of Ofcom’s proposals. In a statement, it said the changes would have an “adverse financial impact on Openreach’s revenue and profit” in the region of £80m to £120m. Addressing the restriction on varying its wholesale prices, BT said it was “considering the implications for full and fair competition”. Openreach said Ofcom’s statement gave the company “certainty on their approach”. But it said it had already been letting rival companies use its telegraph poles and tunnels. “Our ducts and poles have been open since 2011 and we have been sharing a digital map of this network for more than a year,” it said in a statement. It added that telecoms firms needed to “be certain they can secure a return on their investment” if a nationwide rollout of full fibre was to be realised. How have telecoms companies reacted? Talk Talk said the announcement was “good for consumers, competition and investment”. Hyperoptic said the move would strengthen the business case for investment in full fibre networks. “This will ultimately create a better digital future for the UK, not just serve the interests of BT retail,” said Hyperoptic chief executive Dana Tobak. Consumer magazine Which? said the changes needed to be made more quickly. “Consumers are crying out for better broadband… steps to ensure more investment in this vital service can’t come soon enough,” said spokeswoman Alex Neill. Suddenly everyone has gone full fibre. After years of insisting that laying fibre right to the home was too expensive and a copper connection to a kerbside fibre cabinet was absolutely fine, the government has changed its mind. Now the regulator Ofcom has come in behind the new thinking. To make the sums add up, it is forcing BT to open up its network of tunnels and telegraph poles to its rivals. Cynics will point out that this was supposed to have happened years ago – but at last the regulator is tightening the screw. The really bold move would have been to split Openreach off from BT years ago and turn it into a national “fibre to the home” utility. But that ship has sailed. Ofcom now believes that overlapping fast fibre networks built by BT and its rivals will deliver more innovation and a better deal for consumers.